My buddy Lin hosted another awesome blogger swap with Em and Amber: A Holiday Swap. Lin is wonderful and hilarious. You should follow her. Now. 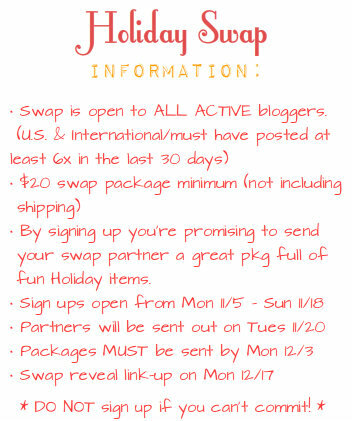 Plus, she is bound to have a lot more blogger swaps in the future if you would like to participate. I love everything! 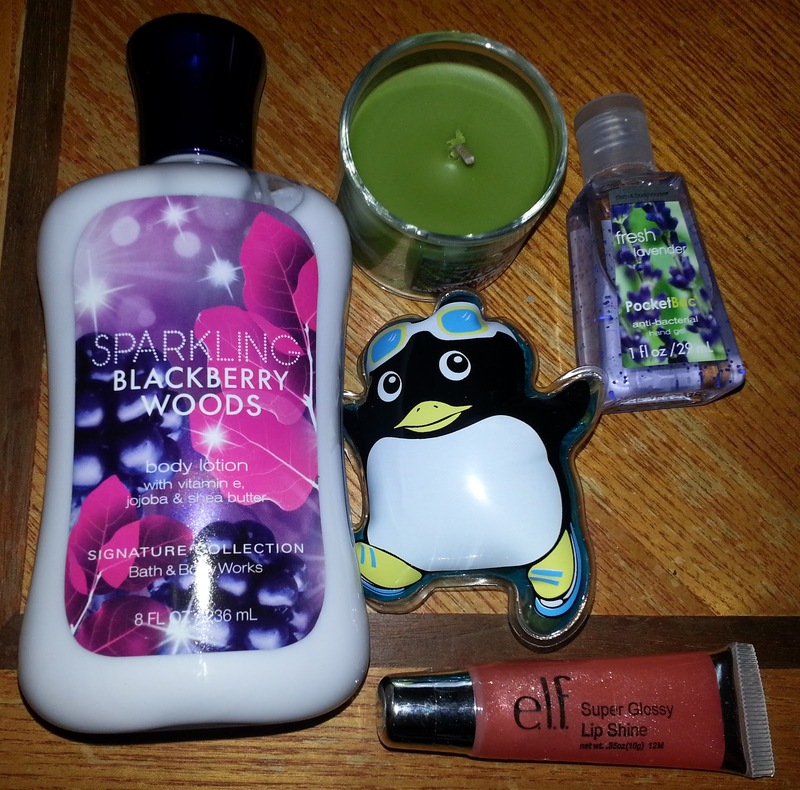 You can never go wrong with Bath and Body Works and elf! 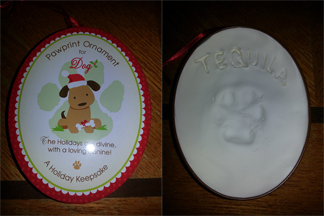 My favorite was definitely the Pawprint Dog Ornament though. It is so unique and it was easy to do. You basically kneed the premixed dough, stamp your dog's paw print and let it dry. As you can see, I also wrote his name into the ornament. I am thinking about painting the letters when it's fully dry to make them pop. So cool. Thanks Lauren! You rock. Visit Lauren to see what I got her. You can also visit Lin to see what everyone received. Merry Christmas!! Oh my gosh, that ornament is the cutest thing ever. I honestly had no idea they even made stuff like that. Such awesome gifts! The penguin is just the cutest. & Your right... Who doesn't love bath and body works! I love the ornament. I've got to get 2 of those for my friend's dogs. Looks like you got some cute things! Looks like everyone got some cool things! 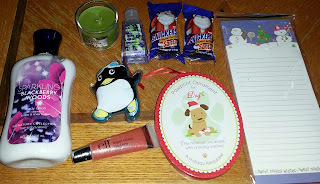 Sorry for the delay, but I finally posted my swap goodies! LOL I'm so glad you liked everything, though, especially the ornament. I thought it would be cute and something a bit different. This is a great ideal. I love the ornament.